Our windshield gaskets seal perfectly to protect against water, wind, and noise. We carry a large variety of windshield channel weatherstrip including vulcanized, with or without reveal moldings, and by the foot. 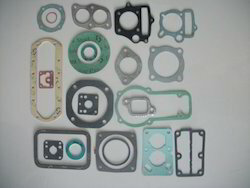 Our Auto Gaskets are highly demanded in the global marketplace as they are based on modern technology and designing. Auto Gaskets, manufactured by us, are durable and show better outputs. Our Auto Gaskets is available in all price packages, giving you plentiful options. 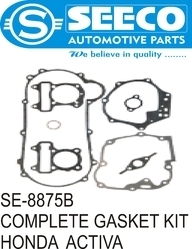 We manufacture best quality of Tractor Head Gaskets which is designed to be properly fitted in the engine. Our product is known for its dimensional accuracy, corrosion resistance and durability. Our clientele can avail from us a wide series of Ashok Leyland Dost Head Gaskets. These parts are developed using the premium grade material which is sourced from industry known merchants. Experts make this part in varied specifications that meet on patrons demand. We are offering these parts at low rates to our clientele.